At D&H Transport we specialise in providing smooth, stress-free courier services; whether you are moving small or large objects in Wandsworth you can count on us to deliver your items to their new destination. Having worked in both the residential and commercial industry we have been relied upon to transport all manner of items, from small boxes and sensitive documents all the way through to large and bulky objects. There is no job that we can’t handle – all our staff have been trained to the highest standard meaning they understand the best way to transport your items where ever the destination may be. We have experience of delivering items all over the UK and even into Europe, so no matter if your parcel needs to go across town or to a different country we can be counted on to transport anything safely and securely. We have built up a reputation over the past 20 years as an industry leading expert and one of the area’s best courier service providers. 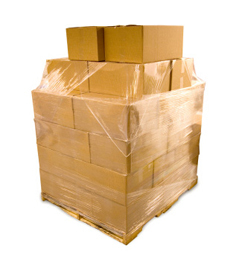 When using D&H Transport, you can fully rest assured that your possessions are in good hands. If you are looking for a reliable courier company in the Wandsworth area that you can trust then why not give us a call today on 0800 731 4766 and receive a free quote.